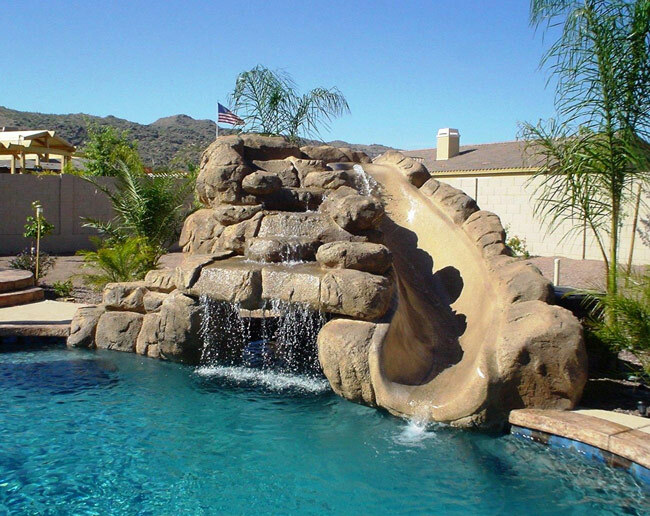 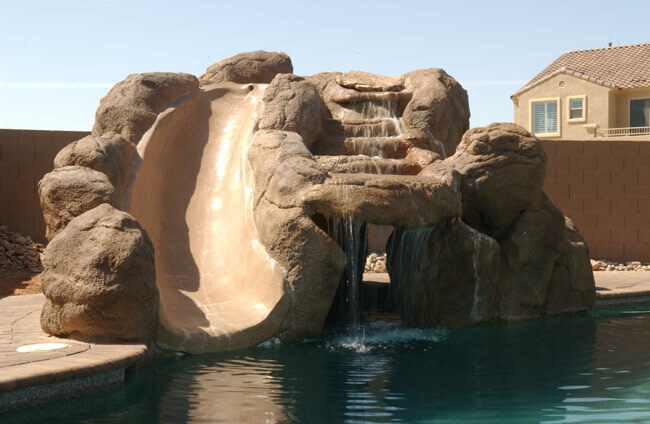 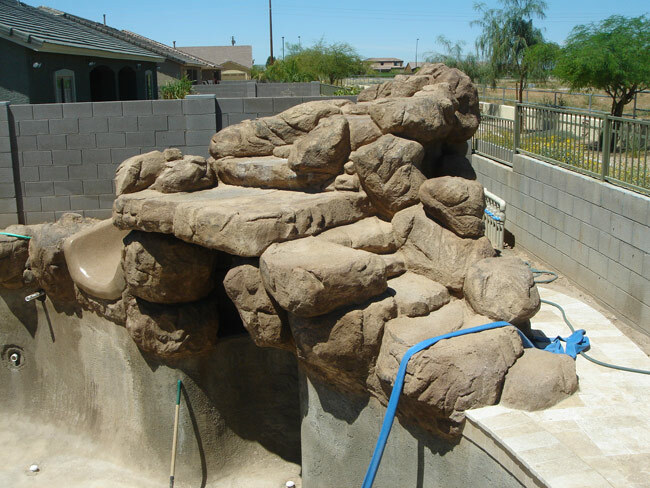 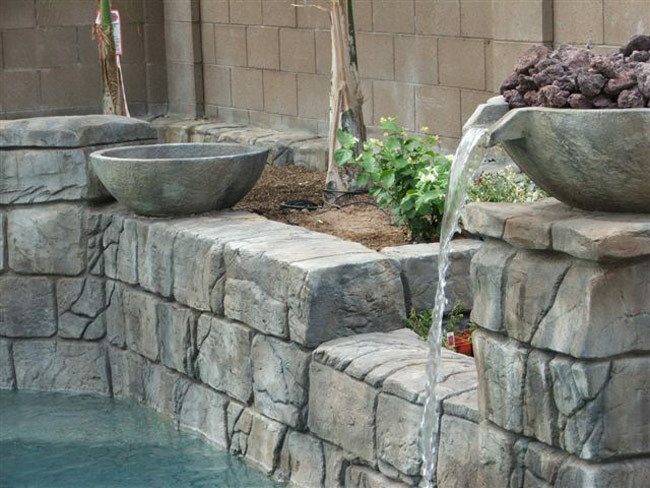 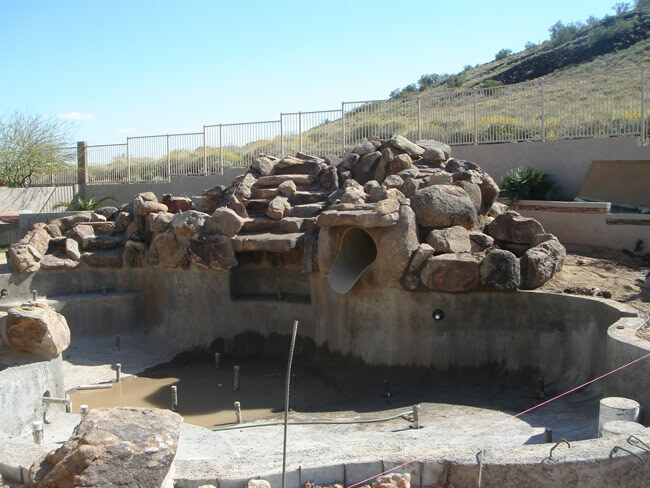 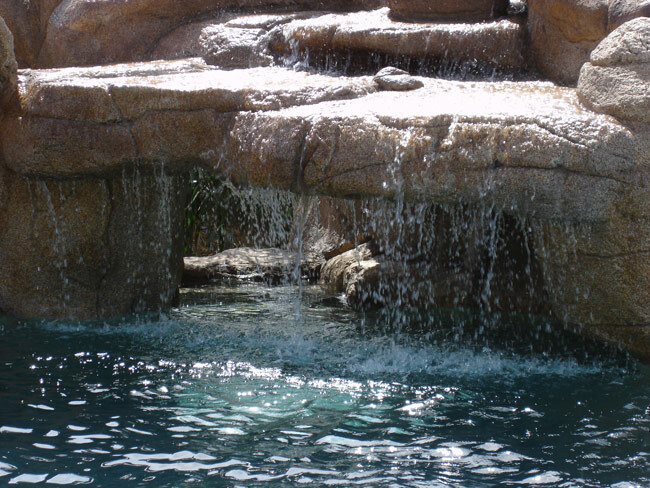 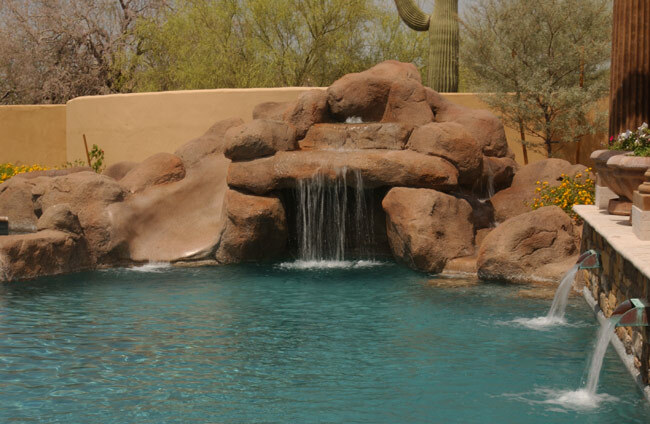 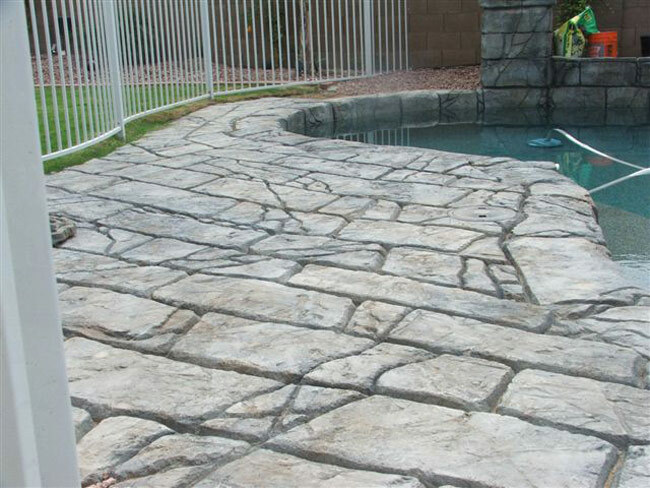 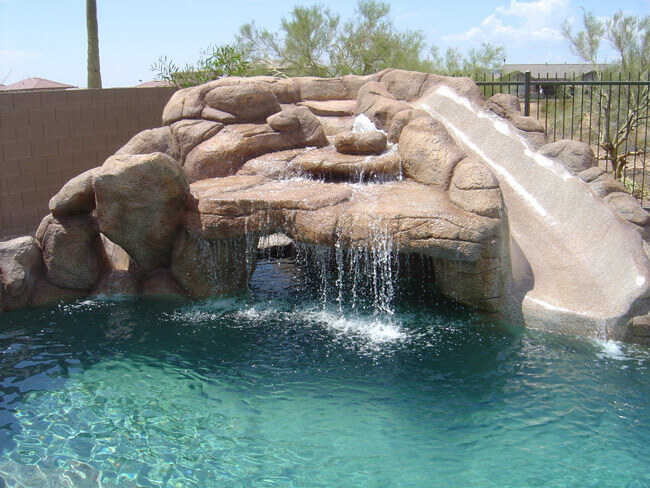 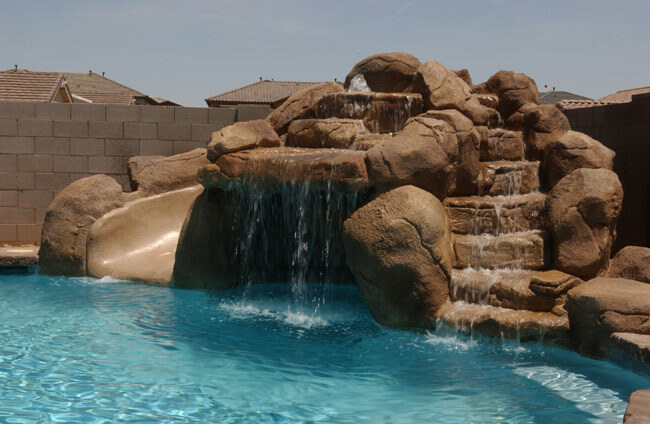 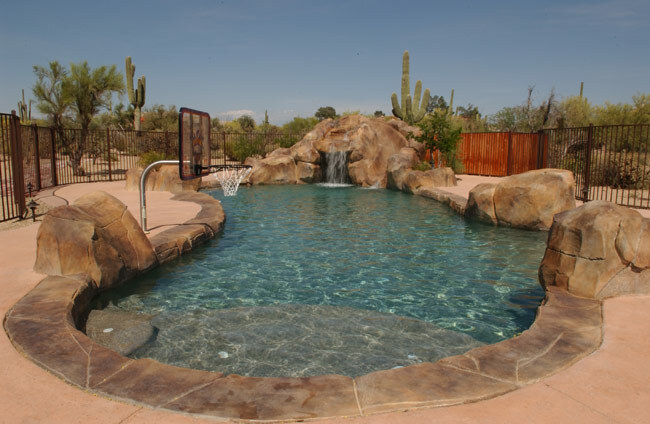 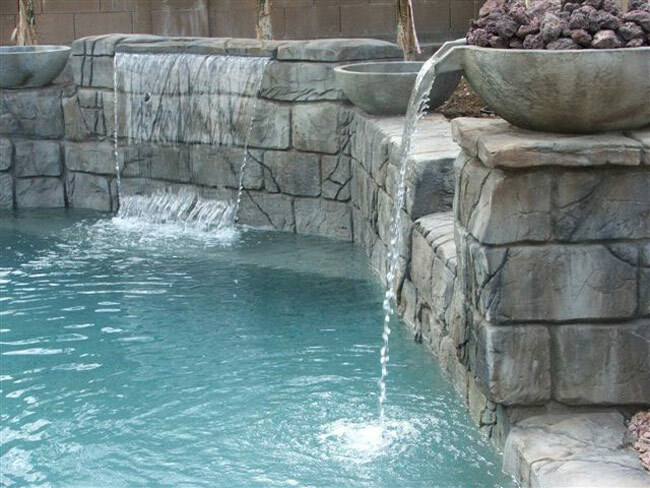 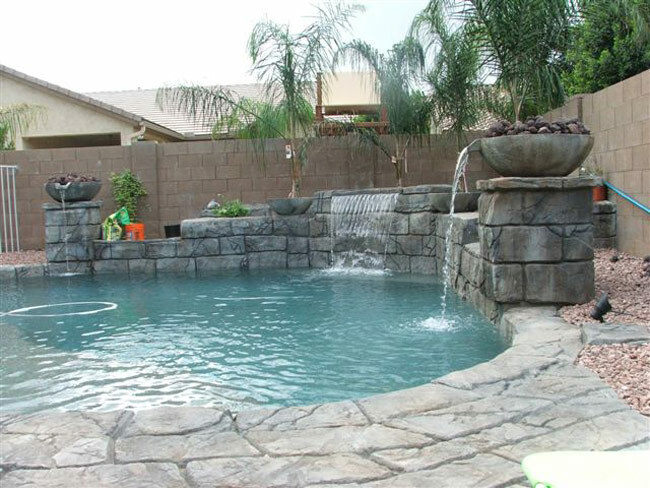 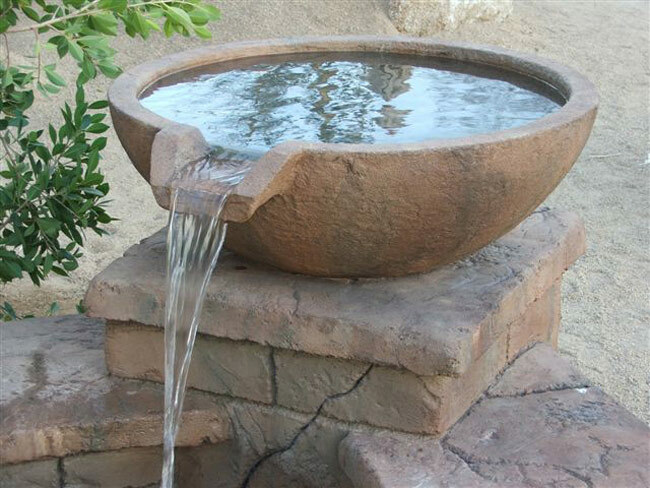 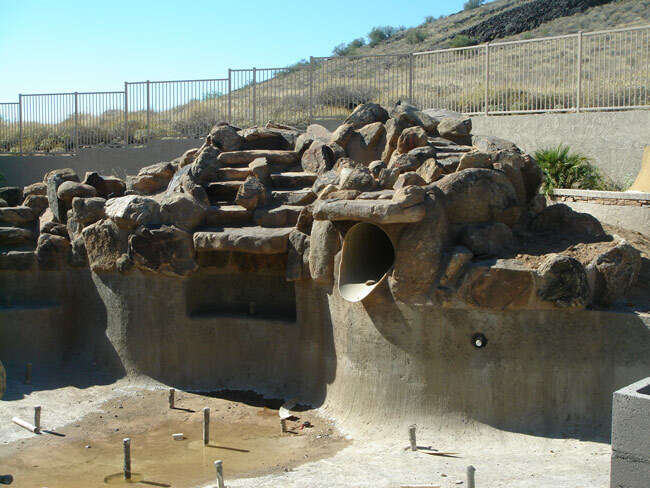 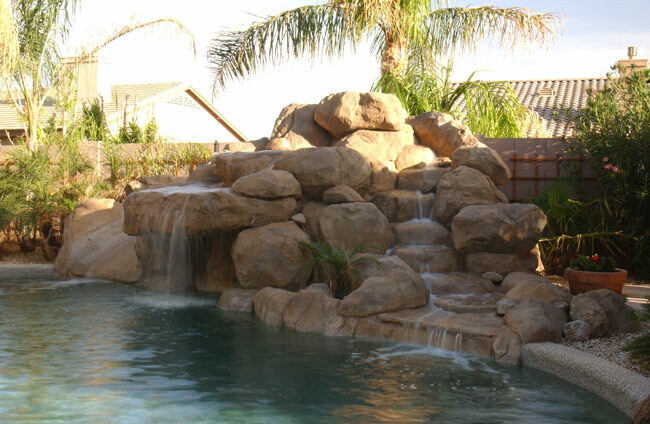 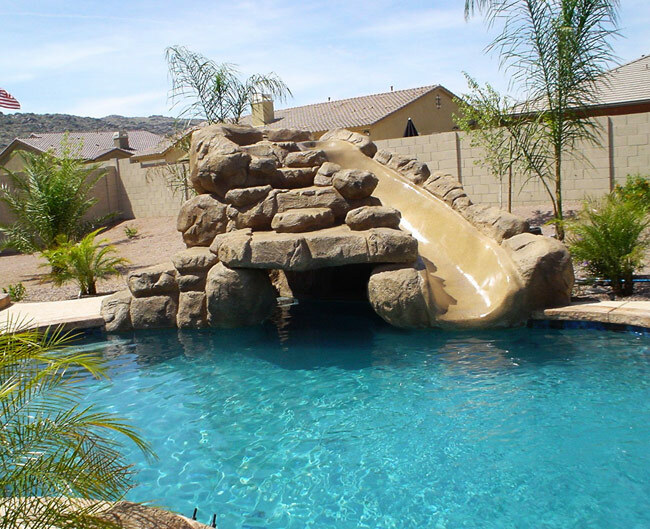 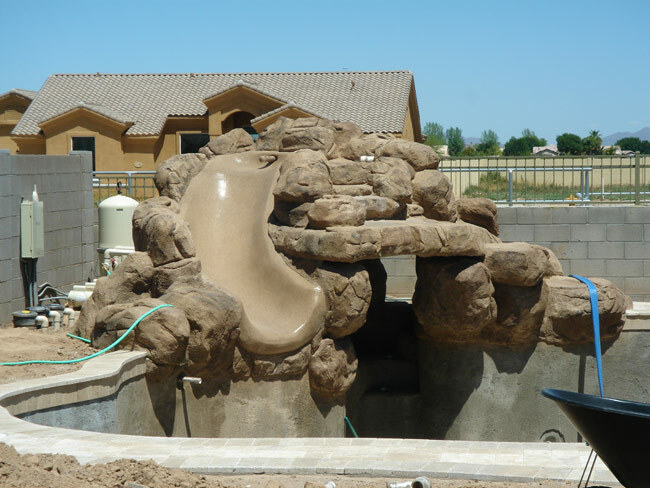 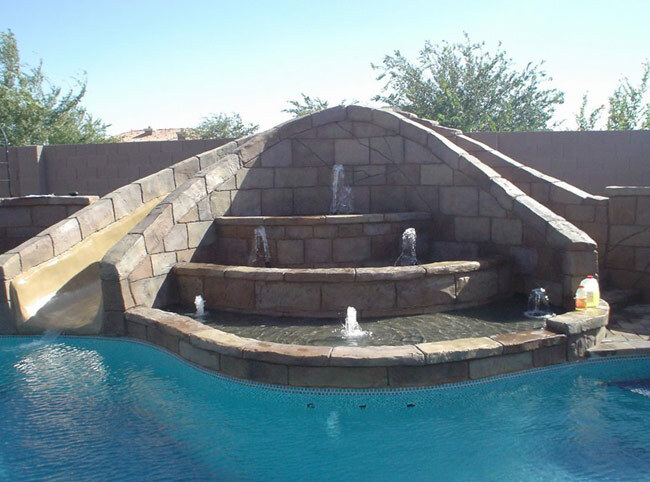 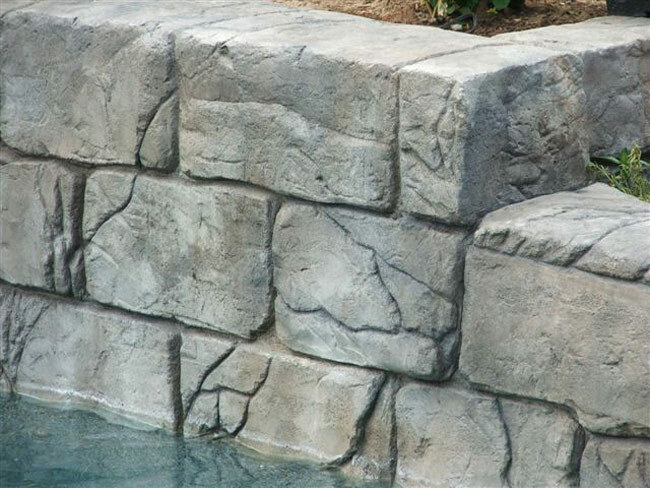 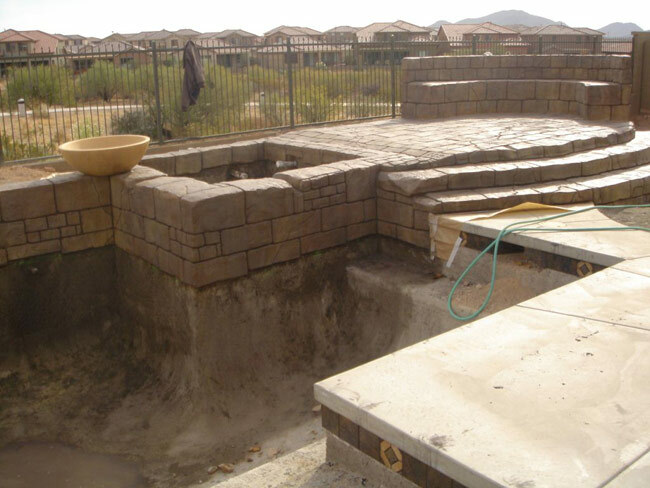 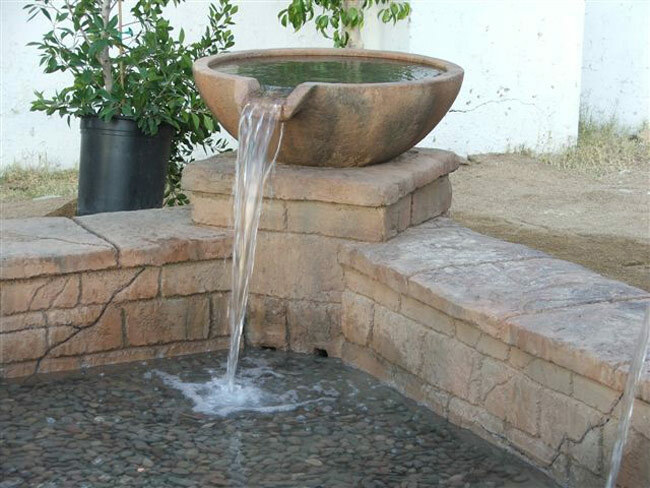 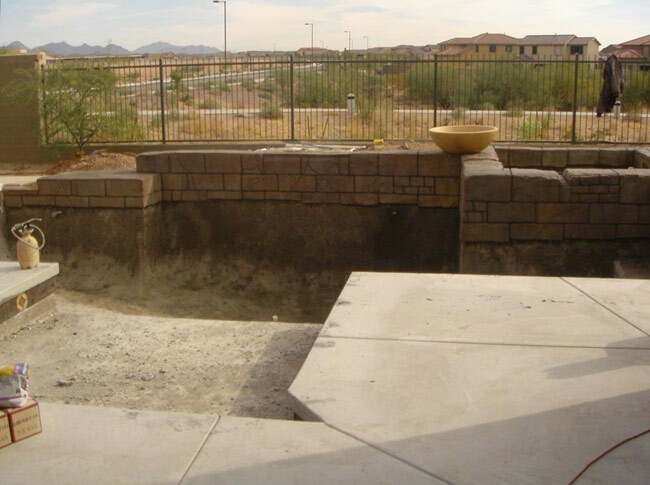 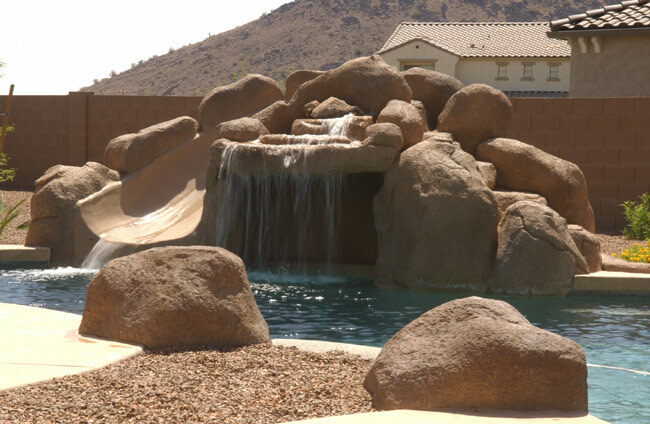 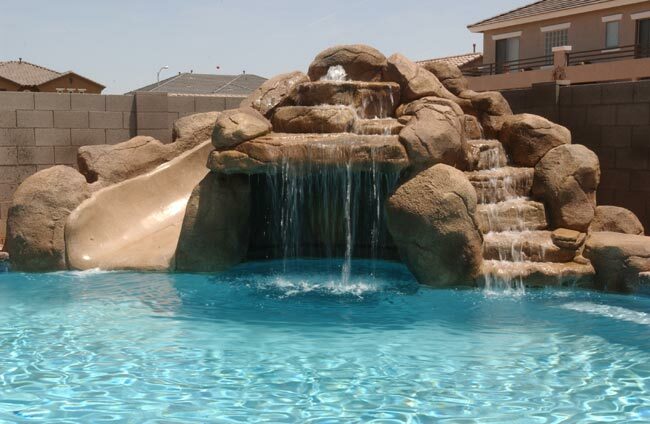 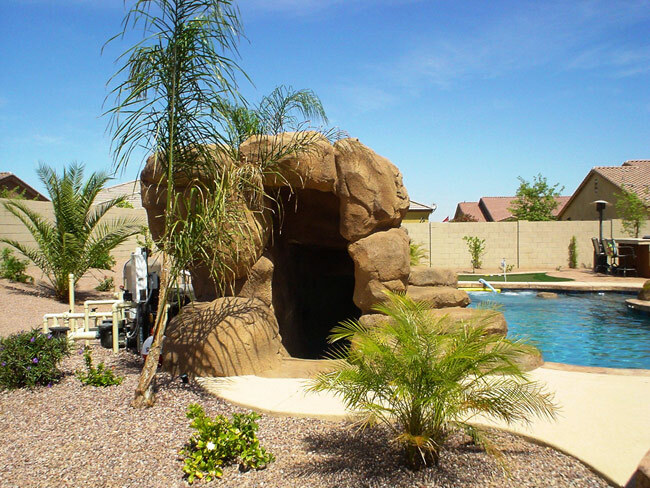 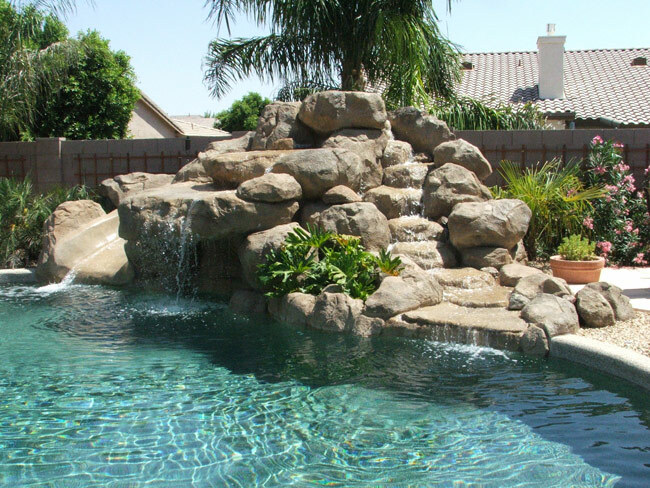 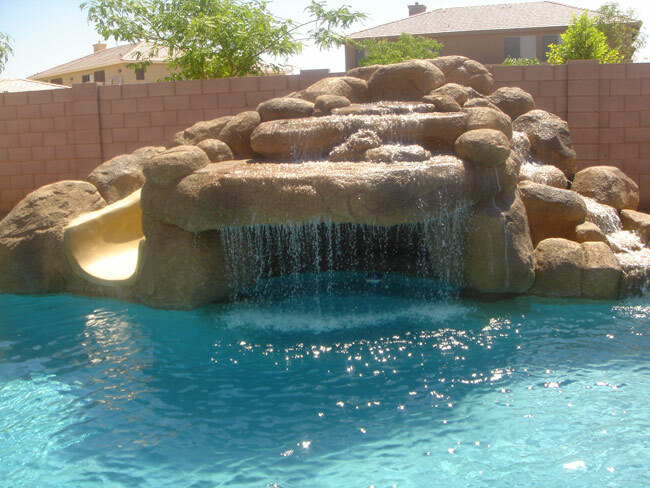 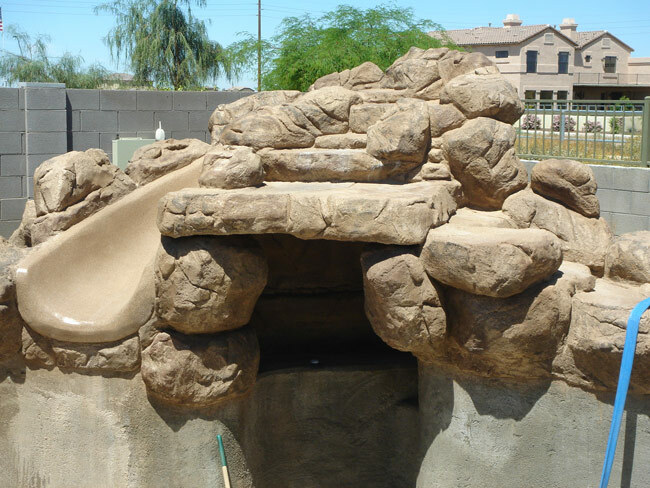 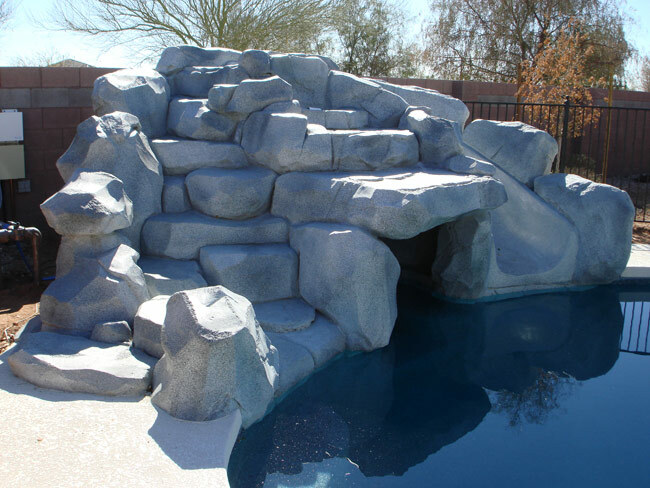 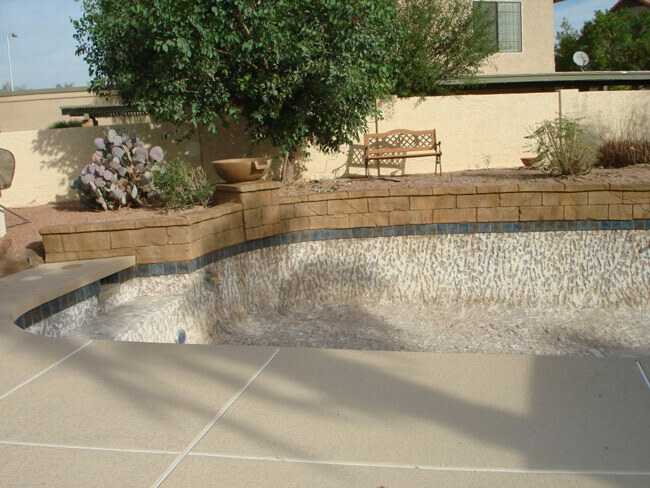 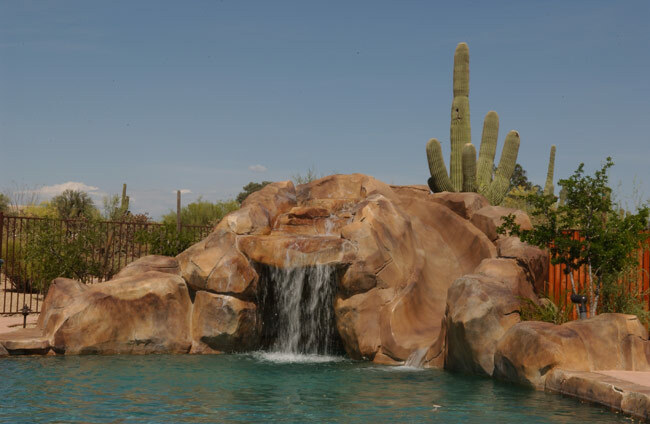 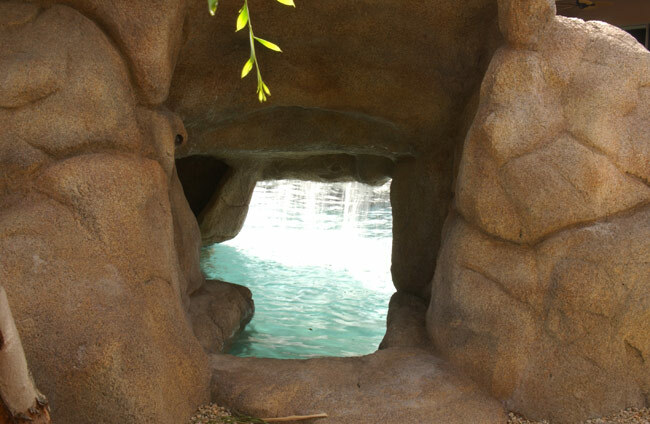 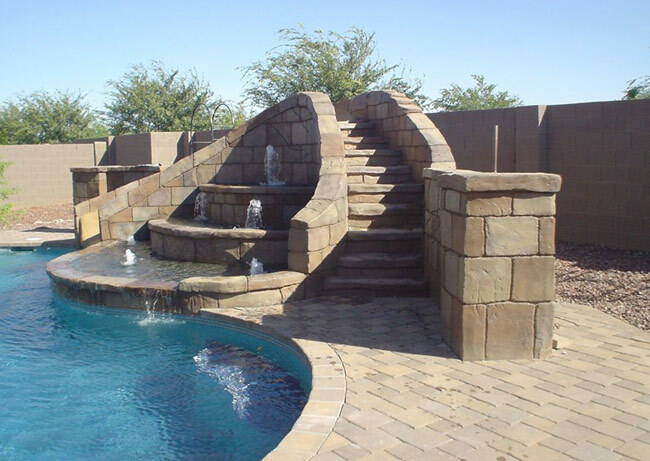 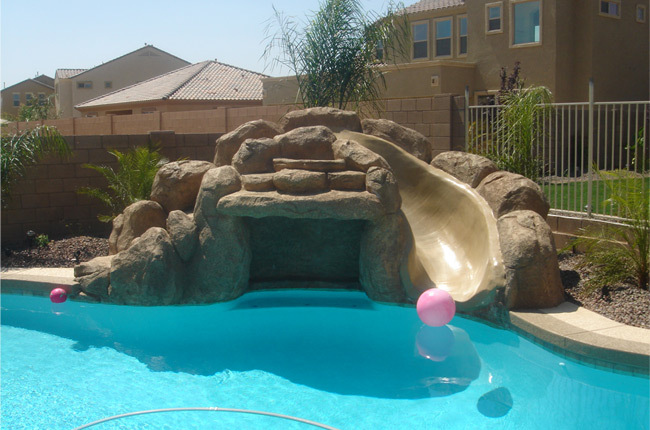 Artificial rockwork is often necessary when building large water features on pools where there is poor access into the backyard. 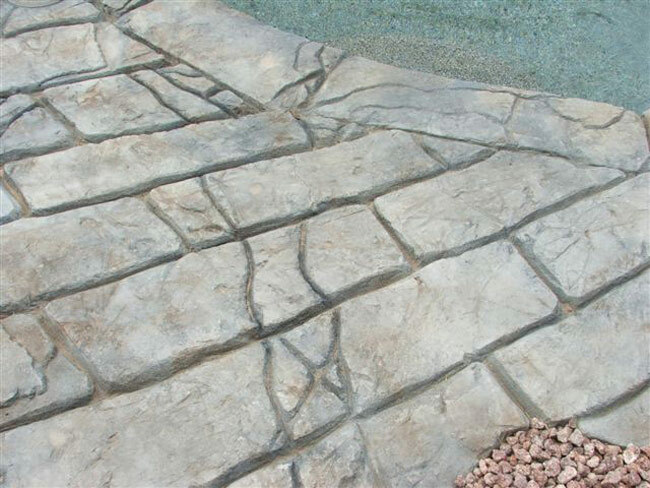 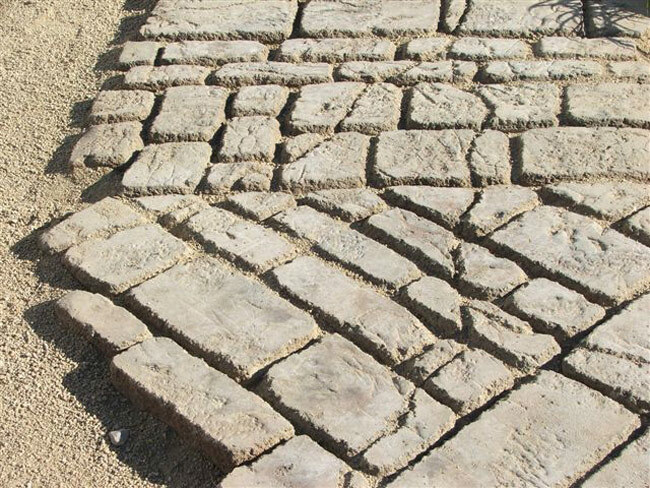 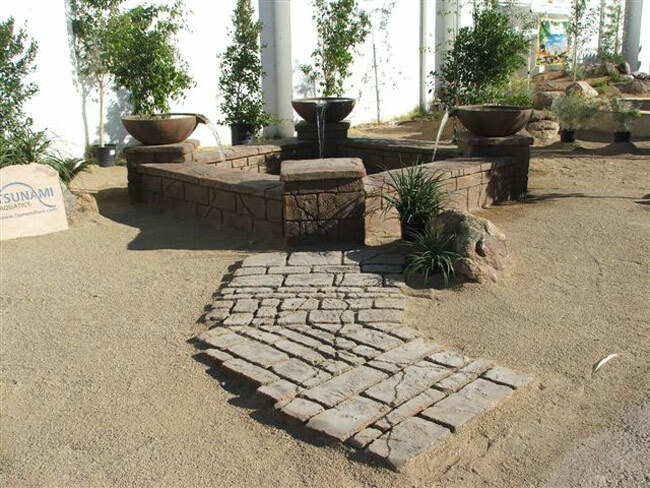 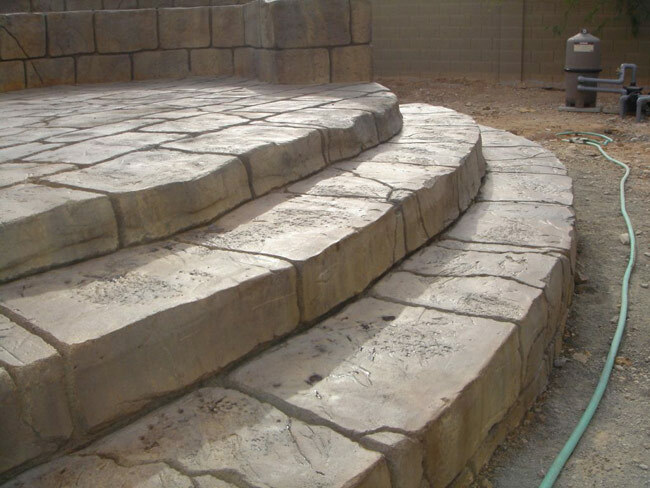 Using all artificial rock also allows for customization where the use of real rock would be limited. 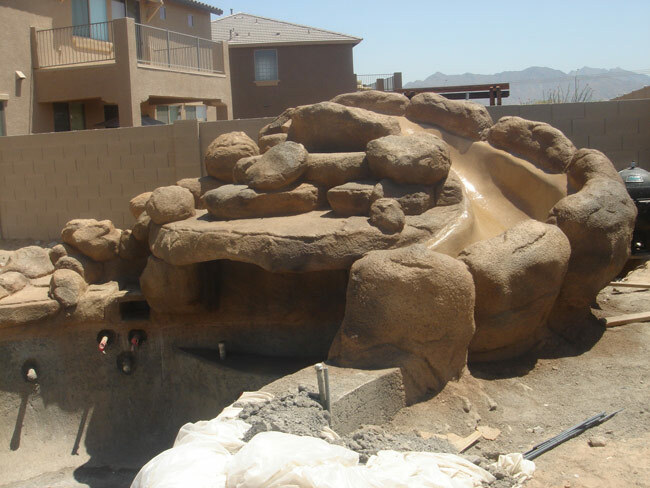 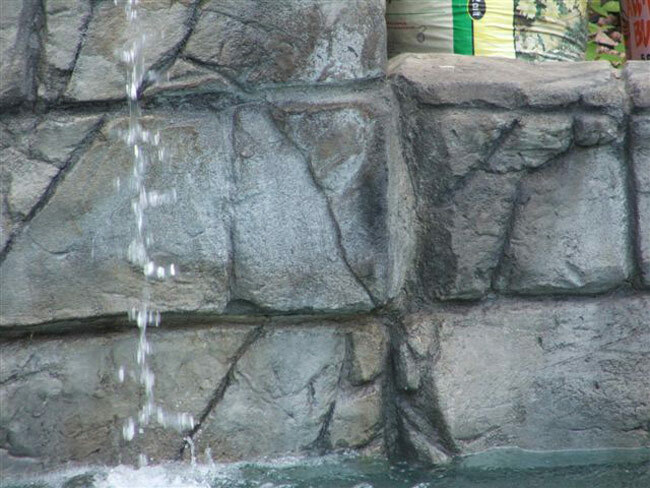 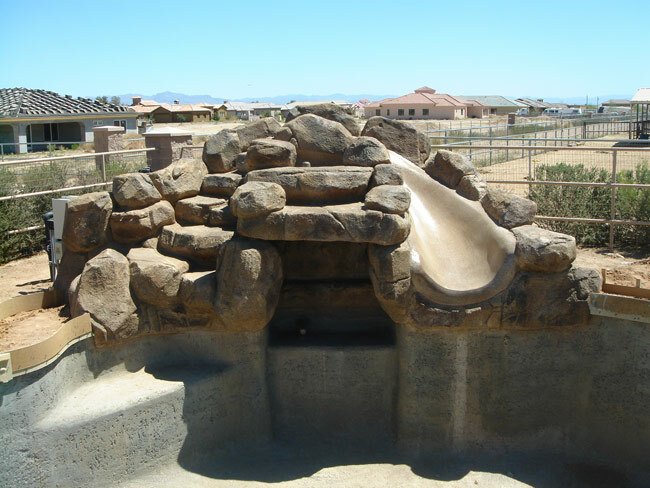 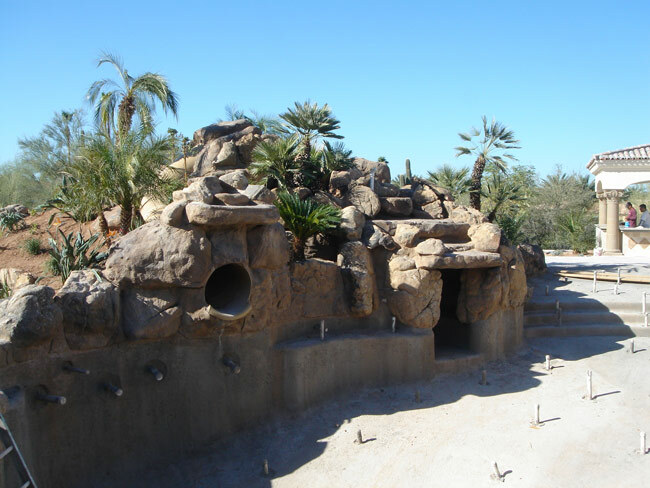 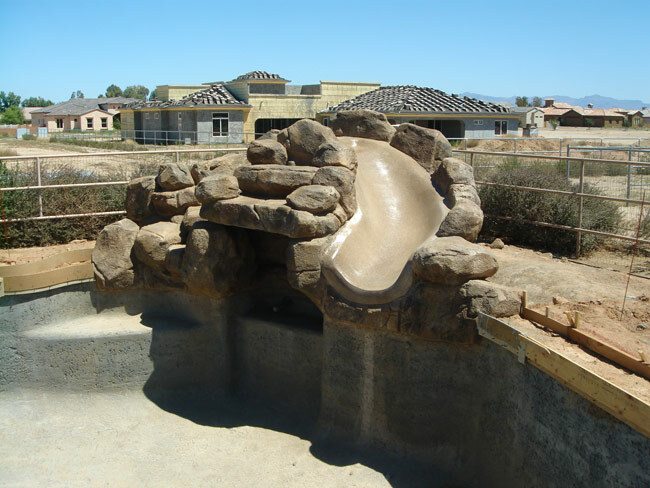 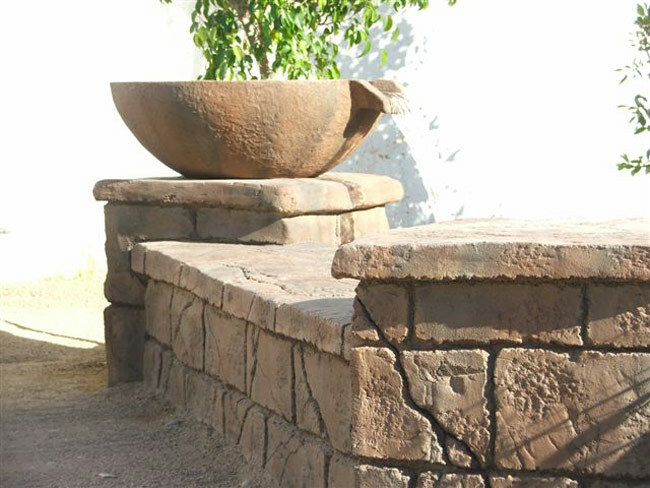 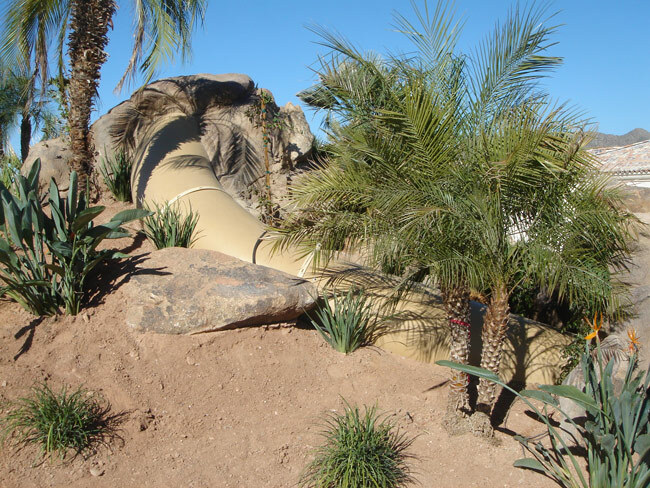 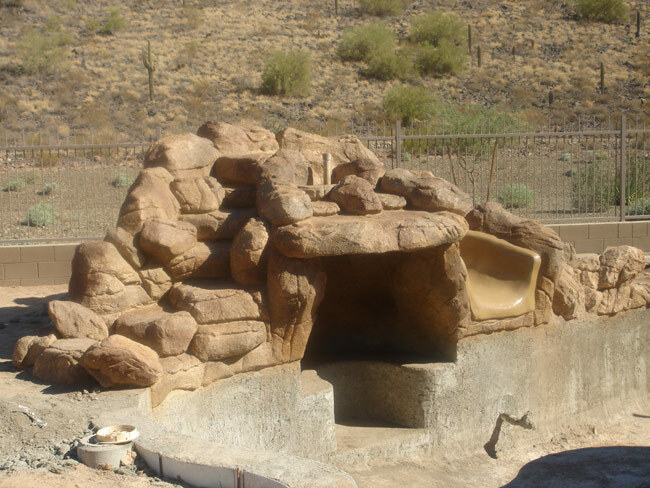 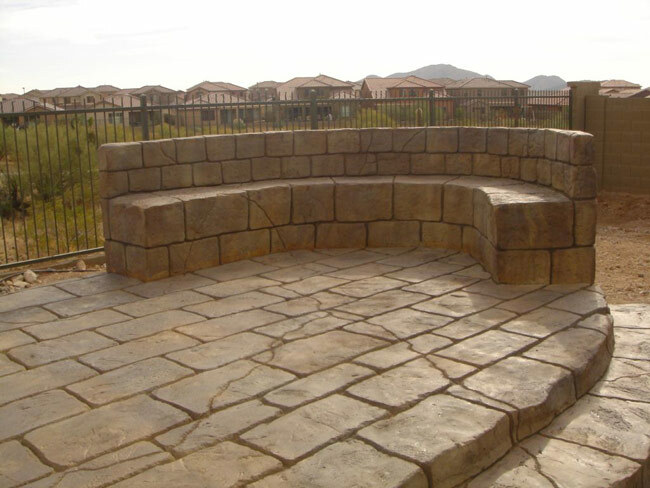 When building artificial rockwork we strive to have the completed product look as though it was built with real rock. 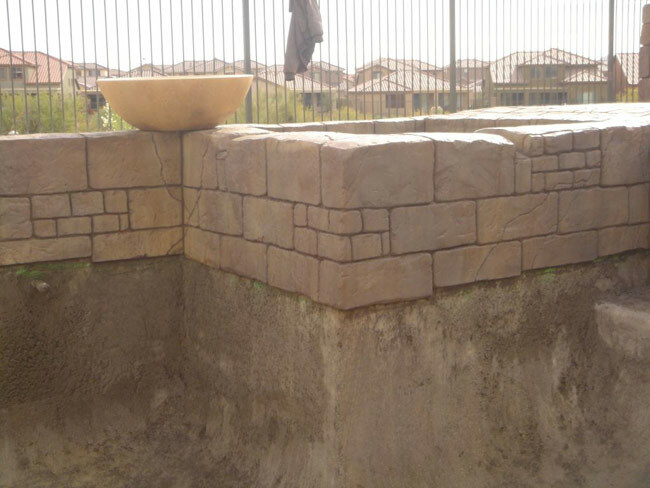 It is important to us that we spend the proper amount of time and energy creating separations, color variations, and markings to ensure the most realistic finish possible.